Demian Katz, technology development specialist, has co-authored “Content Integration: Creating a Scalable Common Platform for Information Resources,” published in the March 2012 issue of Computers in Libraries. The other author, Max Berenstein, is a product manager at Elsevier, a publisher of scientific, technical and medical information. VuFind is open source library software developed at Falvey. 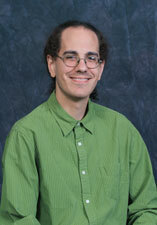 Katz is the current lead developer, but he says, “I’m certainly not solely responsible for its content – a lot of people around the world have contributed code; I just take all the contributions and put them together into the finished product.” VuFind replaced the traditional OPAC (Online Public Access Catalog) used to search a library’s holdings.